At last the wait is over. Finally Microsoft revealed its latest smartphones in Lumia series namely Lumia 950 and Lumia 950XL. Just like other smartphone makers, Microsoft also started to launch a small sized phone and a large sized smartphone together. Well the rumours about these two flagship phones were active in the tech world. The pictures that were leaked exactly resembles with the actual ones launched. The features of these handsets really make them premium. Lumia 950 is integrated with a screen of 5.2 inches and its 950XL comes with 5.7 inches screen. Both the display gives you 544 PPI. The new feature called Organic OLED Display, provides you a better display experience. This feature provides the user an opportunity to go through the notifications without unlocking the phone. But the most important specialty of this feature is that it doesn’t utilize any of the battery power for delivering this service. This is another special feature integrated with these smartphones. This technology catches signals from two antennas and combines them. As a result your cellular connection remains undisturbed no matter whichever direction you face. Lumia series handsets always tried to provide better camera experience to its users. Lumia 950 and 950XL do not deviate from this policy. Both the handsets are loaded with primary cameras with 20MP lens along with an additional RGB natural flash. This addition made the number of flashes available to three. This additional flash promises more artificial lighting making the image more balanced with tone as well as with warmth. The camera is also facilitated with automatic red eye reduction at the moment when an image is captured. This prevents editing of images after taking them. Also Microsoft integrated the 5th Generation Optical Image Stabilization feature. The front cam is loaded with a lens of 5MPalong with the feature of wide angle. Both the handsets are loaded with an internal storage facility of 32GB. This can be elevated upto 200GB with the help of an external memory card. Both the smartphones is also loaded with a feature called Windows Hello, with the help of which users can confirm their identity with the help of IR camera and access their handsets. Both the devices are loaded with a RAM of 3GB, which ensures smooth functioning of the handsets without any lag in processing. Both the handsets are powered by chipset from Snapdragon. 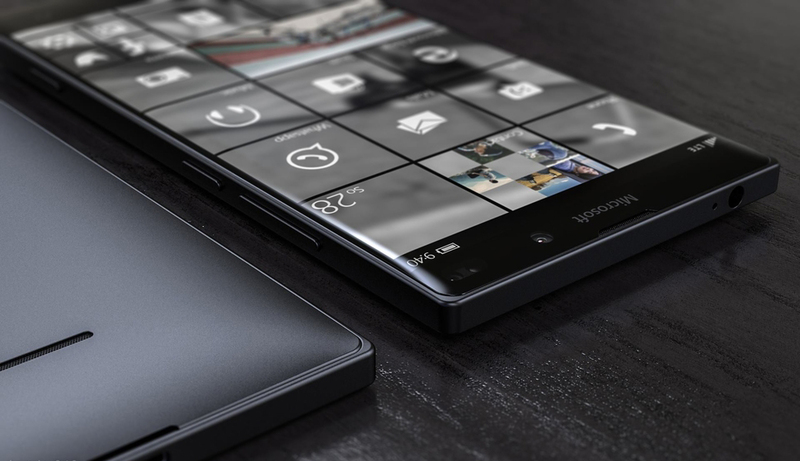 Lumia 950 runs on Hexa-core Snapdragon 808 whereas Lumia 950XL runs on Snapdragon 810. These hardwares are loaded with an additional feature of liquid cooling system, which prevents the handsets from getting hot while using it. These handsets are integrated with Type-C USB connectors, which enable high speed charging. With these connectors the handsets can be charged in just 30 minutes to half of its battery capacity. Connectivity is possible with 4G LTE. These handsets can be synced with other Windows gadgets with the help of Microsoft Display Dock.Microsoft with the help of newly introduced Windows 10 is trying something big. With Windows 10, all windows supporting gadgets can be synced as one device and thus establishes a strong bond between the gadgets. The Continuumfeature converts the handset to fully operational personal computer and allows it to get connected with Bluetooth enabled keyboard and mouse. Also this feature allows the users to connect a monitor to their handset wirelessly. This special feature is a tempting feature for many of the tech savvy people to opt for Microsoft devices over other gadgets in the market. Thus these features ensure a smooth way for Lumia 950 and 950XL in the smartphone market in coming days.